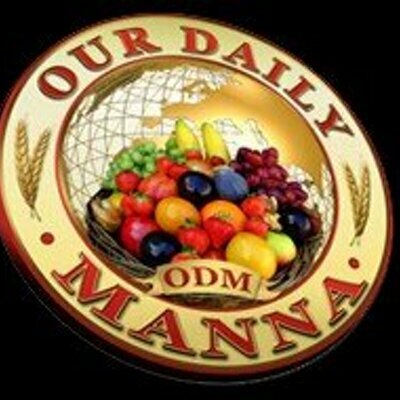 Our Daily Manna Distributors Worldwide! COTE D’IVOIRE Mrs. Pauleen Susungi P. O. 28, Bp 192, Abidjan 28. +225-05640481, (Mobile) +225-07499782 Ethopia 1. Regina Mugabe African Union Commission, P. O. Box 3243, Addis Ababa. Tél: +251-911-677578 FRANCE 1. Friday J. Aiyegbe 173, Avenue Victor Hugo 75116 Paris, France. Tel: +33181294674, Email: fraiyee@yahoo.com 2. Sister Dippah M. K. Francoise 24 Rue Du Marechal Foch, 7800, Versailles, France. +33615835388 GAMBIA Mr. Obed Ileagu Victory Enterprise, 10 Jobe Street, Serrekunda, By Serrekunda health Centre. Phones: +220-9912372; +220-4374570 Email: obeduc@yahoo.com GHANA 1. Mrs. Olive Akpebu adjah Institute of African studies Library, Lagon Phone: 0202113333, E-mail: oadjah@libr.ug.edu.gh 2. Rev. Nissi Diafo New Life Assemblies of God, Tema New Town +238119886, +233243653904 3. St. John Tetteb Phone: +233208484597, +23324408940 4. Dr. Lawson K. Alorvor P.O. Box AH 364 Achimota, ACCRA Praise Academy Bookshop, Accra. +233-242885266, +233-208118836 E-mail: kalorson@yahoo.com 5. Clara and Joyce Sackey Doribabs Girl Hostel, After Moree Police Barrier. Tel: +233208890994 6. Mama Valerie Addah C/o 3, Town Assemblies of God Church, Hohoe, Volta Region, Ghana. Tel: +233-249416882 7. Francisca Armoo Kingdom Life Centre, P.O.Box DS 1878, Dansoman, Accra. +233207406758 8. Hon. Rev. Benjamin Bimpong Donkor Parliament of Ghana, Accra +23324633862, +233284824647, +233264824647 9. Pastor George Asare 23, Angel View Adenta, Accra, +233540783729 10. Mrs. Osei Linda Steps To Christ Ent., Accra Branch, Kaneshie Mpanprom, Behind Traffic Light, Kumasi. +233243356509, +233277459277, +233264459277 11. Agodzo Roland Roosewell Scriptures Bookshop, Accra. scriptbooks@gmail.com, +233244893990, +233200746612. TOGO Nsini Ntofon Tel: +2288342702, Email: nsinintofon@hotmail.com Lome, Togo. ANAMBRA STATE ONITSHA: 1. Mr. Okey Ezumba, 8 Ridge Road, G.R.A. Tel: 08063882118 2. Mrs Gloria Ekpechi, Holy Innocents Juniorate Convent, Nkpor. Tel: 08063975083 3. Rev Ben Obinna, Divine Grace Mission, 90 Creek Road, Fegge. 08037221096, 08023521814. 4. 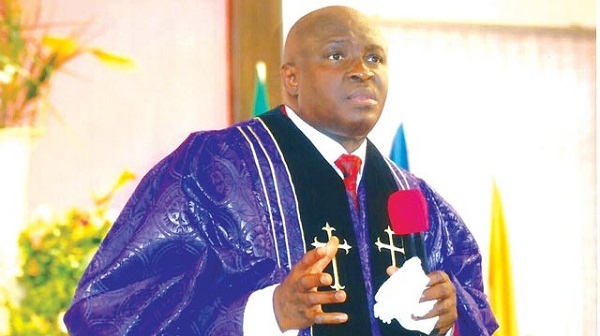 Bro Pat Okonkwo, MFM Onitsha. Phone: 08034714139 5. Mrs Okafor Chinwe, Winner’s Int. Primary and Secondary Sch, Nkpor. 08036700696. NNEWI: Sis Ginika Udoji, 5 Muoghalu Str, Okpunoeze, Uruagu, 08063760776, 08065195114. BAYELSA STATE 1. C/o Bishop Ebi, Global Victory Int’l Ministries (HQ), 1 Victory Ave, Opp. Ekeki B/Stop. 2. Bro. O J. Oworibo, LOGOS Ministries Kpansia, 08036703472. 3. Dr (Mrs) Igodo, 08036720462 4. Barr. Mrs. E. Boye, 254A, Mbiama/Yenagoa Rd. 08051968198 5. Bro / Sis Godly Y. E. Obele, Board of Internal Revenue Road, Safety road, Yenagoa, Bayelsa State, 08064286670, 08064310296, 08032599617 6. Mrs A. A. Seiyefa, Ebitare Books, Yenizuegene, Yanagoa, Bayelsa State, 08037931949 7. Mummy J. Fetriwari, MFM Bookshop, Okaka, 08035493339 8. Mrs. Okolia, Shalom Collective. 08033885246 9. Evang. Price, Light of the World Gospel Mission, Yenegoa, 08035079506, 08050442012. OVWIAN-ALADJA: Mrs. Christie Okerie, Jesus Dominion Mission, off Jos drive, DSC Township 08037426194. EDO STATE ABUDU: Mrs. I. D. Timeyin, C/o God’s Favour Int Group of Schools, 4 Ajayi st, off Court Rd. ORLU: Dr. Mrs. Chika Chukwukere, St. Paul Anglican Church, Nkwerre, Anglican Dioceses of Orlu, 08022877436. UGWOLAWO: Pastor Moses Baba, Glory World Xtian Bookshop, 07055120515. AJEGUNLE / APAPA: Winners Gospel Bookstores, 3 & 15a, Baale Str, 01-4825852, 08056077356. AJAH: Kenneth Ossai, Blk B, House 33a, Off Dan Suleman Crescent, Off Ndubusi Kanu Str. 08023322354. AKOWONJO: Sis Orho Adjere-Taunu, Rccg, Jesus Mega Sanctuary, 1, Church St, Shasha Road, 08028115342. GBAGADA: Felix Global Publications, 69 Diya St. opposite Deeper Life Bible Church B/S. 08023450251, 07067874684. IPAJA: Mrs Funmilayo Owoniyi RCCG (Royal Sanctuary) Gowon Estate, Ipaja-Egbeda 08054475316; 01-8948996. IKEJA: 1. Mate Supermarket, off Adeniyi Jones. 08024297540 2. R-Wells Media, 2, Orishe Str, off Obafemi Awolowo Way, 08033046768, 08033007085, 01-8500625. 3. Marvelous Acts Of God, Suite A7 Assest Plaza, 21 Obafemi Awolowo Way, 08035723245, 07095042051. OGUDU: CCD Superstores, 116, Ogudu Road, 01-8951744. OGBA: Mama T, MFM Ogba Branch, 9, Ajayi Rd. 08035906513. OWOROSOKI: Pastor S. A. Jayeola; 12 Oworo Road, Pako B/Stop, 08033232092, 08082039602. OREGUN: Foursquare Gospel Church, Oregun-Lagos. OPEBI: 1 IPFY Bookstore, 48 Opebi Rd. 08050417971; 01-4734277. 2 Victorious Book Centre, Shop D1 Rikaz Shopping Plaza, 58, Opebi Road. 01-7211708, 08023178202. OYINGBO: 1. Sis Linda Ajibode, FACM (Christ Church Cathedral), Oyingbo, Ebute-Meta, 01-8534722; 08022014434. SATELLITE TOWN: Kingdom Life Centre, 1 Akanbi Soetan Str, Lijentic Plaza, Alakija. 01-4710281, 08033330720. UNILAG: Shepherd Venture, Chapel Of Christ. 08056040810. VICTORIA ISLAND: Mrs Ruth Ken Ossai, Corona Sch-Lekki, 13 Ajiran Road, Agungi, Lekki. 01-4371249, 08055214200. OGUN STATE ABEOKUTA: Kitan Oyesiku, OGTV, Km 91, Bisi Onabanjo Rd. 08033287606. PLATEAU STATE JOS: 1 Dr Asieba, Victory Christian Bookstore, 08037001969. 2 Victory Bookshop, 14 Barracks Rd, Off Ahmadu Bello Way. 08037001969; 073290073.
l wanted to buy a copy of war against Harman 13 but appears all the shops in Koforidua Ghana has run short . This is quite strange. 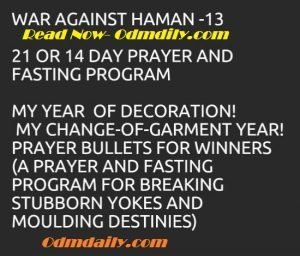 I need to get a copy so that I can participate in the fasting program. Please is it possible to download it from the internet? IF YOU CANT GET ANY OF THE ABOVE, keep reading it on this website, Bookmark it on your phone odmdaily.com to remember.